How old can elephants grow? The life expectancy of an elephant is between 0 and 50 up to 60 years. In spite of this high life expectancy, only a few elephants do actually reach this age. 15 of the 89 Asian elephants born in Europe since 1980 were stillbirths, 13 elephant calves died shortly after their birth, 6 within their first year of life and 14 later. Why do cow elephants attack their babies? Some elephants are trampled to death by their inexperienced mothers already shortly after their birth. In most cases these mother elephants themselves did never experience an elephant birth. The pains during the birth and the unfamiliar and strangely smelling creature in the straw can cause panic. In its stress the cow elephant attacks the unfamiliar thing – with fatal consequences. That’s why it is very important that the elephant keepers have a calming influence on the mother and are capable of protecting the new-born animal against its stressed out mother. What is dangerous for elephants? Accidents like a fall into the trench and diseases, like herpes, elephant smallpox or tuberculosis, can kill healthy elephants very quickly. Why do certain become dangerous? Another risk factor is the elephant’s behaviour towards its keeper. Some elephants, which were born in the zoo, have been killed, because they couldn’t adjust to the social fabric and because they attacked, hurt or killed elephant keepers. These elephants were not willing to submit to the elephant keeper’s alpha-role. The elephants, which attacked their keepers successfully, learn that their keepers are not so invulnerable and strong, as they keep on to pretend. Also the musth was fatal for many elephant bulls in the circus or in the zoo. An elephant bull in the circus, which had the musth, was no longer controllable, attacked the trainer and was killed because of “viciousness”. Why are these elephants killed? There’s hardly room for such an animal in the zoos and circuses, where the elephants live in direct contact with the elephant keepers. If the elephant is fortunate, it is given to a zoo or park with protected contact like the cow elephant Zambi. Otherwise it is pushed off from one zoo to the next, every time with a worse reputation, and finally it is killed because of viciousness. How were elephants killed in the past? The killing, respectively the execution of elephants was a sensational event until not too long ago, which took place in public. It turned out in the past that the killing of an elephant was not an easy undertaking. The range of killing methods varied from poisoning (which was rarely successful), strangling, hanging, execution by electric current, shooting by cannons, shooting by volleys of gunfire (100 and even more fired shots were not uncommon), shooting by machine guns and beating to death to stabbing, or administer a very large dose of LSD etc. 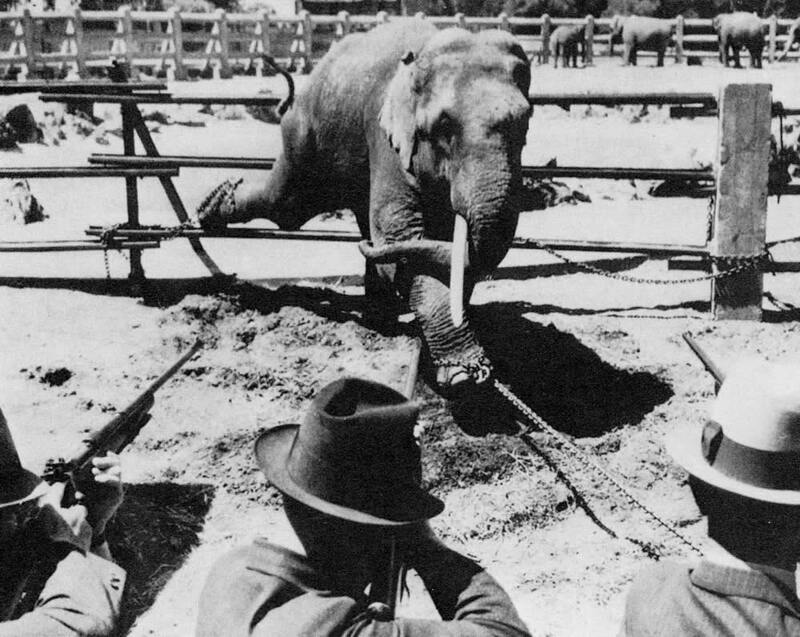 Dangerous circus elephant: Before the first human being was executed in the electric chair in 1890, numerous experimental animals, above all dogs, calves and horses, had to die by electroshock. 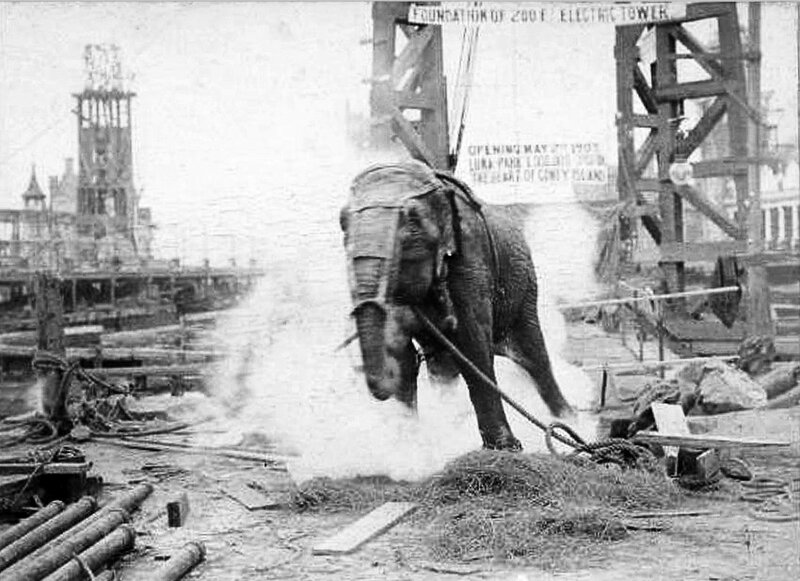 This female circus elephant, named Topsy, was electrified on January 4, 1903 in Luna Park on Coney Island. Topsy had killed three men and was therefore considered dangerous. The elephant first received carrots mixed with hydrogen cyanide and was then electrocuted. 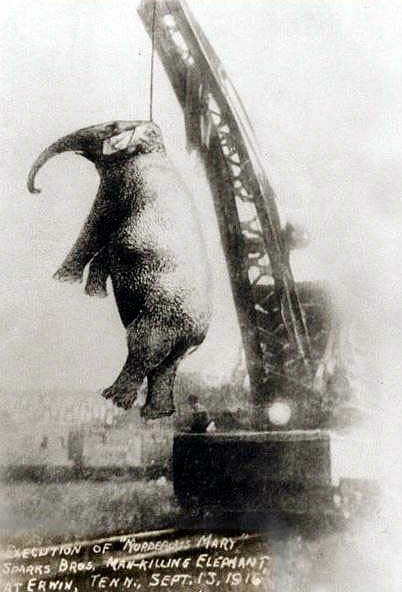 Are elephants executed still today? Nowadays, in a modern zoo or circus, elephants are no longer publicly executed and their meat is no longer sold in the restaurants afterwards. 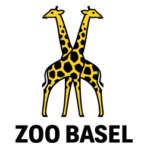 The death of zoo or circus animals takes place behind the scenes, without spectators. Often the killing of animals is kept secret and declared as an accident. 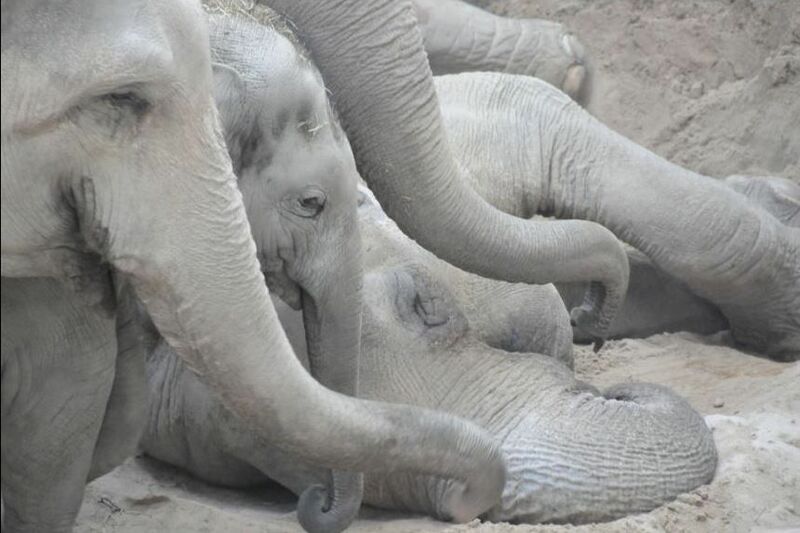 Dangerous and vicious elephants have suddenly “toothaches” or “ulcers”, which can be treated only under anaesthetic and they simply do not wake up again. How are elephants killed today? The elephants are killed in a “human” way by putting them to sleep by “Immobilon” or “M99” like domestic animals. 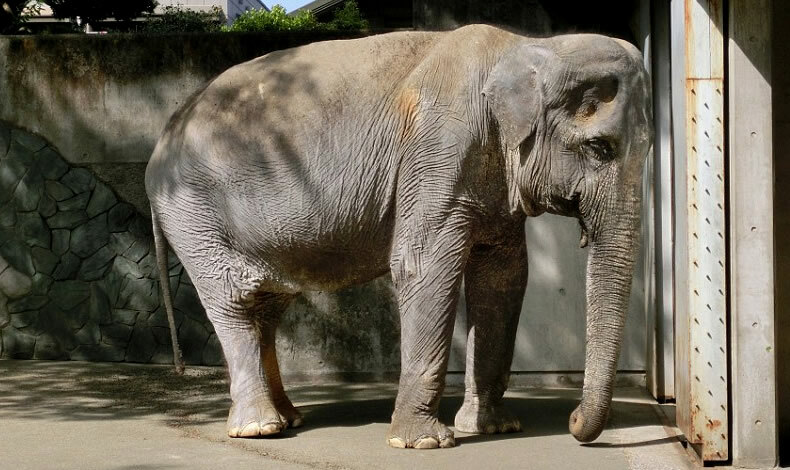 Because many zoo animals, especially elephants, are popular and liked, their death is reported only afterwards. This is to prevent “specialists” and “animal lovers“ from interfering in the grievous decision of the concerned elephant keepers and of other persons in charge.